Real-time needs are key in multiprotocol industrial IoT. With much legacy equipment existing with older protocols and requiring diverse real-time needs, the Industrial IoT will not soon, if ever, use a single data-connectivity standard. The projected benefits that can be gained from the Industrial Internet of Things (IIoT) have been well documented during the past several years by the likes of General Electric, Accenture and other organizations that have conducted extensive research in this area. In fact, these benefits in revenue, cost reductions and energy consumption are now coming to fruition in a variety of smart city, smart farming, transportation and other industry sectors. A great example is the Connected Boulevard program in Nice, France, which uses Industrial Internet technologies, including an innovative data-sharing platform, to help manage and optimize all aspects of city management, including parking and traffic, street lighting, waste disposal and environmental quality. 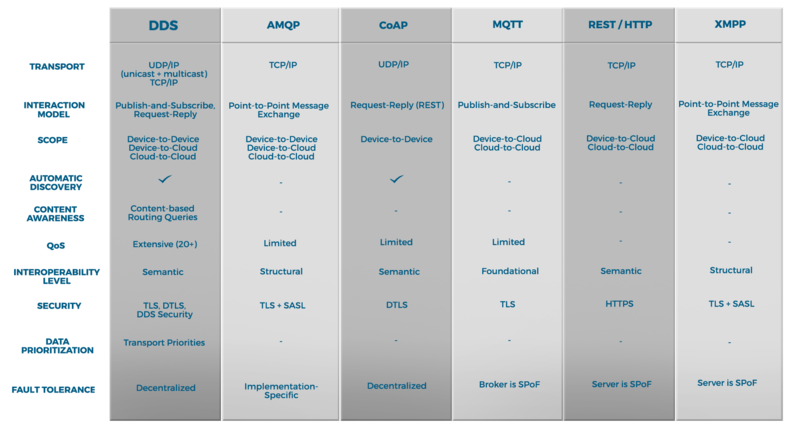 The eXtensible Messaging and Presence Protocol (XMPP), the IETF’s formalization of the base XML streaming protocols for instant messaging and presence technology originally developed within the Jabber open-source community.